At what cost is a question frequently asked of food. The normal connotation, especially in the US, gravitates first to food product price rather than a true cost, which equally accounts for nutritional significance and potential impact. This approach over the past few decades is proving to be an incomplete equation without the inclusion of consequence from consumption or production, resulting in commoditization and significantly cheapened food in the western diet. As of 2014, the US now spends the lowest percentage of income (6.6%) on food in the world. Other high-income counties like Sweden (12.2%), France (13.2%) and the Netherlands (11.6%) nearly double discretionary expenditures by investing in food for its intrinsic values rather than equating “cost” to price alone. Over that same period, there has been a direct inverse correlation to healthcare expenditures doubling while the aforementioned food expenditure percentage the US have halved. The resulting evidence we’re afforded by cheapening food in the US over the past 30 years – we’ve gotten what we paid for, and now we deal with the consequence. Since its genesis, science has done best admitting when we don’t know. This mindset validates what we do understand, and where we need further exploration. Since our comprehension of science is actually defined observations, we must ask what is actually being observed with food, and resulting health. The results in the States is empirical evidence that we’re a fatter & chronically more ill society heavily reliant on reactionary care. At $2.9 trillion in spending and 1/6 of total US GDP – per capita healthcare costs now rank higher than any other developed county – proving we’ve got fundamental problems that reactionary medicine can never address. As the foundation of existence, this is compelling evidence that our commitment to a conventional agricultural approach of cheapening food based on associated biased science which does more than dabble in systems we don’t fully understand, but tries instead to redefine process and resulting crops needs reevaluation. Returning to its origin, food science in the States must gain deeper appreciation for how nutrient cycling systems work and the results of any current manipulation is having on its test subjects – which of course is us and our health & wellbeing. The Dutch have been a global harbinger of change in rectifying many of these self-inflicted production problems on systems that once looked very similar to the current US approach. Due to their experiences that have shaped their precautionary practices of systemic change, the Dutch implement a few programs that resulted in unparalleled success story in cleaning up a food chain to sustain healthier people. US production must heed the warnings from experiences in methods similar to our own. It's just a matter of time before it's our reality too. Similar to the United States, agriculture is extremely important to Dutch heritage. It’s part of their calling-card; it’s who they are. Choke-full of cultural pride, the agricultural sector in the Netherlands makes up approximately 10 percent of the Dutch economy and provides work and income for more than 660,000 people. The sector has a strong international focus and accounts for almost twenty percent of the Netherlands’ total export value (260 billion Euros). This commitment to linage as farmers and tradesmen alike has made the Netherlands the 2nd largest agricultural exporter in the world, only behind the USA. But, that is where most of the comparisons stop. While the United States has commoditized more than 90% of our production, the Dutch have migrated from trying to compete only on price in commoditized exchanges, and instead focused on producing safe and healthy food steeped in provenance – at scale. They’ve built an agricultural economy using innovation from small and mid-size companies, and equally off strong balance sheets of larger food corporations turning new profits into prudent growth. 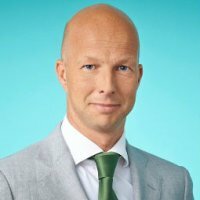 Developing a system of sustained cash-flow positive companies that service global demand for higher-quality foods has resulted in, or others may describe it as the reason for, quickly instituting higher-quality production standards to all product price points within the food system in the Netherlands. 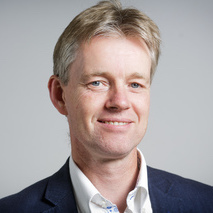 This paradigm shift, most noticeable with food animals of both protein production and especially dairy, has done more than preserve demand for Dutch products – it’s instead skyrocketed desirability on global markets while providing an example apparent of evidence-based circular agriculture in science and business. Onsite in May 2015, I learned the Dutch have made their food system basis for preventative healthcare through investing in scientific farming research focused on animal welfare defined and branded OneHealth. A management program focused on a single health of the entire circular system through bolstering animal welfare, the Dutch have leveraged a broad-reaching commitment to OneHealth to rectify public health concerns and to enhance market significance associated to quality of products derived from food animals. 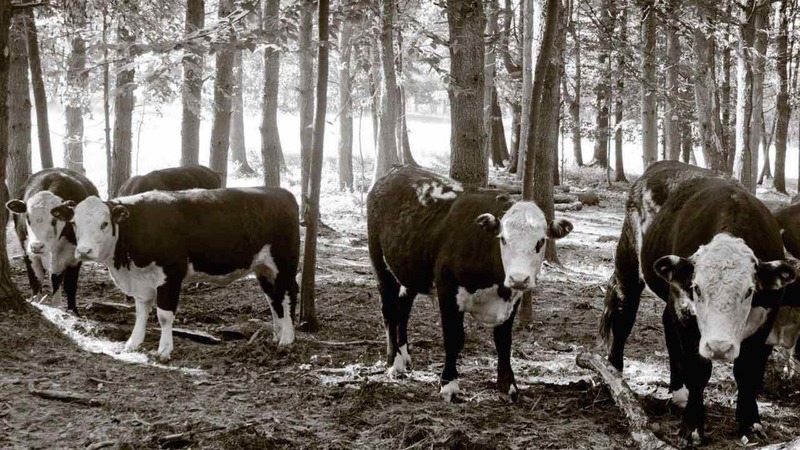 The flagship in the program is grass-fed Dairy, where a Grazing program requires the majority of a ruminant’s time on pastor, remediation of any slow administration of antibiotics, and at least 3 out of every 4 mouthfuls being natural forage of rations grass-fed. Of most immediate and pressing interest Stateside must be the Dutch approach to rectifying a potential public health epidemic instigated by fictitiously engineering quicker growth through methods we use broadly Stateside to raise meat via routine use of antibiotic short-cuts. The Dutch have differentiated their value chain to raise minimum market entrance thresholds that prevent farm born & propagated ‘Superbugs’ from corrupting the human healthcare system – by investing in this (one)health of the animal. Basically, the conduit to preventative human and planetary healthcare comes from treating animals in our food chain better. As a result, remediating the use of growth agent antibiotics and alleviating the need for routine application common in conventional becomes the method to rectify clear & present danger to US nutritional and national security. In the US, where Superbug cases now top 2M annually, more than 30 million lbs. of antibiotics are given to livestock every year for purpose of both quicker fattening and “protecting” pigs, chickens and cattle from the unhealthy CAFO (concentrated animal feed operations) conditions from where they’re raised. A methodology discovered 1950s, it was immediately questioned. The concerning practice of dosing animals with drugs of then tetracycline and now numerous antibiotics of significance to human medical health (specifically cephalosporin – a key agent used in keeping children and pregnant women healthy) is the resulting nano-backlash we incur at the top of the food chain with these medical cases of resistance. Steroid induced growth and proactive treatments with on-farm animals has become mainstream – according to the PEW research center – over 90% of US domestic animal production utilize administration of antibiotics in ongoing basis through feed or water. That equates to over 70% of total antibiotics used in the States coming on-farm. Truth be told, since the British Swann report of 1969, there have been hundreds of studies linking poor farming practice of antibiotic overuse in animals to bacterial resistance in humans. Despite the CDC strong warnings against Superbugs – something they define as a “nightmare” bacteria that cannot be treated conventionally – the US has turned a blind-eye to the cause, food production. In 2015, we now source globally 9 Billion food animals a year – the very concern Sir Alexander Fleming first warned against with his discovery of penicillin; the slow and ongoing administration of antibiotic medicine results in resistance – or “Superbugs”- with potential catastrophic results. Without a silver-bullet cure to this systemic problem, this becomes concerning to both nutritional and national security where resistance puts us in jeopardy of world of medicine without biological defense. Focused on inducing efficiencies and mitigating loss of crops in modern agriculture, the Dutch have invested significant capital in progressing the Science of precision agriculture. Specifically, certain veggies that account for more than half of US domestic vegetable consumption can efficiently and cleanly be grown under glass. Reducing contamination risks is again most pressing when dealing with safe and healthy food. 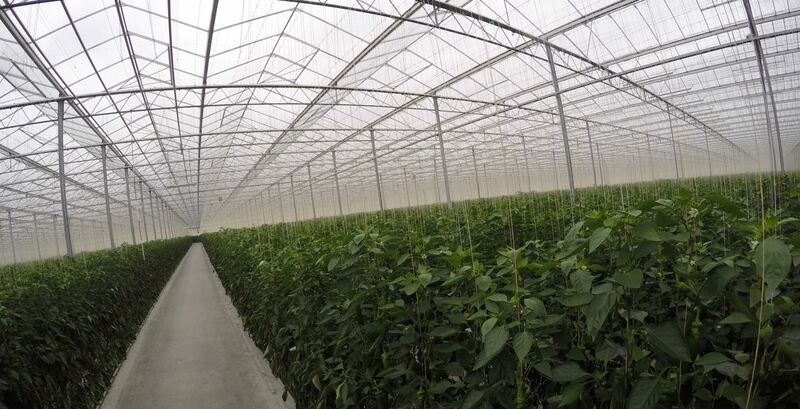 The process of controlling the grow environment has allowed Dutch glass-house producers to reduce risk of exposure to herbicides, fungicides and especially persistent pesticides by nearly 90% as compared to conventional growing standards allowed in the US. In conjunction with, or better yet – as basis for, the Dutch and the rest of the EU have both raised minimum market entrance thresholds to alleviate proactive applications of neurotoxins and hormone-disruptors through these proven successful methods of growing inside. 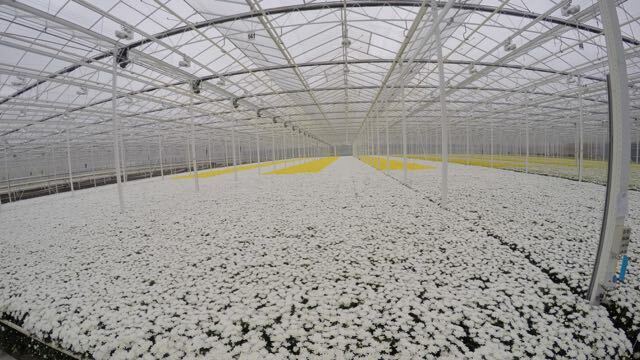 Much driven by necessity to service year-round demand with consistent supply of quality in both vegetables and flowers – changing the playing field has allowed the Dutch to grow inside in any weather conditions or climate. Regionalizing food production has become a large movement in the US, and with the majority of populations densities in areas with outside weather conditions prohibitive to year-round growing, or in those other areas experiencing unprecedented drought. Controlled environments maximize resources in all conditions & environments, and seems a natural progression of Scientific agricultural innovation globally. In later essays, I explore the environmental and health impact of cheap food, and how the Dutch approach vs. US has evolved with global demand, and the realization that finite resources associated to planetary boundaries cannot maintain a business as usual approach instituted in conventional farming practice. Much through forced innovation the Dutch have developed methods to clean their food chain and reduce waste through agricultural practice by understanding and following the rules of natural order. Living below sea level, sustaining a life on reclaimed working lands much closer to the cusp of backlash associated to poor habitual natural resource management practice, has given the Dutch an appreciation for importance of regenerative design and system resilience. What’s so unique, and probably core to the mantra of the Dutch people, they’ve embraced what many could define as a limitation. They’ve flipped this necessity into a competitive advantage useful as the rest of the world begins to heed similar warnings to problems the Dutch have already resolved in the densely populated lands. In the States, we’ve put our eggs into a single basket for too long! I present my experiences in meeting those who have successfully launched and documented a model of circular agriculture and economic development defined here as evidence-based agriculture. This proven process of closing of the loop in these natural systems, a process of reducing the expense of waste in macro and micro environments – is something of a core competency in ecology and has proven to be the keys to the kingdom in developing a fiscally sound approach to circular and not linear food production. Over the past 10 years, the Dutch have drafted quantitative and qualitative evidence that presents these methods as not only reducing the danger of nutritional and national exposure, but to develop a replicable clean and environmentally friendly production method of higher quality food that propagates a safer and healthier citizens. A full Fellowship meeting list can be found in ABOUT program. At the top of the food chain – we are what we eat. The dutch concept of OneHealth takes into account the overall health of all parts of the food chain and insightfully realizes we’re dependent on each other for the wellbeing of the system as a whole. As we near closer to the food we eat, animal proteins express the greatest threat as fewer natural systems can be used to buffer a compromised practice to result in safe & healthly food. With supreme focus always on raising and rearing healthy food animals for dairy and production – the Dutch first introduced a scalable framework in 2007 that would lead to an evidence-based system utilized today. Abolishing the use of antibiotics via slow and sustained usage on food animals, the Dutch Government employed both a carrot and a stick to empower a community and industry clambering for change. In response to a brewing nationwide public health epidemic associated to superbugs in hospitals linked to the very same slow and ongoing overuse of on-farm antibiotics in food animals – the Netherlands became an initial petri dish, or better yet, a crystal ball in determining best practices to reducing threat of a world of medicine without bacterial defense. Throughout the fellowship program I was informed of the importance of the OneHealth program in the Dutch food system supported by a public and private initiate called the “Golden Triangle”. Delving deeper, I spent a few days on campus of Wegeningen UR and Utrecht meeting senior staff from two of the most prestigious agricultural and animal science universities in the world. Following chapters in this essay detail my experiences in meeting with different groups of the Golden Triangle. ‘To explore the potential of nature to improve the quality of life’ – That is the mission of Wageningen UR (University & Research centre). A staff of 6,500 and 10,000 students from over 100 countries work everywhere around the world in the domain of healthy food and living environment for governments and the business community-at-large. 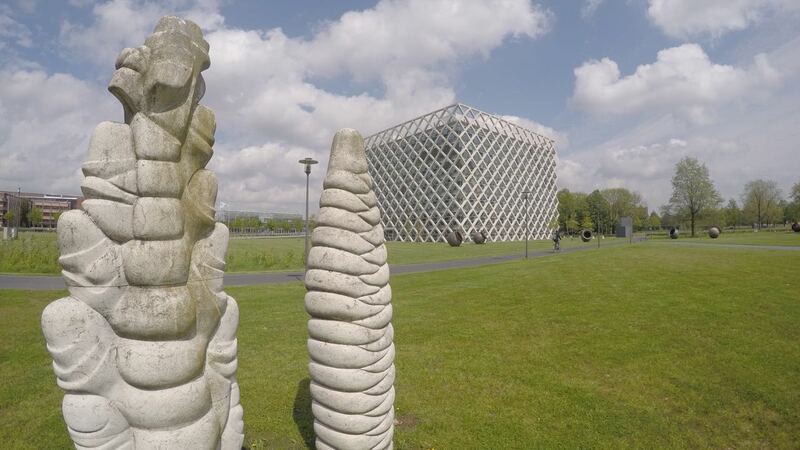 The last of my 6 meetings at Wageningen UR, Dr. Bastiaan Meerburg and I became fast confidants sharing spectacular conversations and excitement to further collaboration. We covered ecology, environment, human health, genetic engineering, and importance to this hard work for sake of our kids… Set in just day two of program travel, the enthusiasm and energy I came away with after spending a few hours learning and corroborating with this true expert set the tone for the rest of the my fellowship travels. Bastiaan explained for me the true value of animal welfare. How the refined concept of OneHealth is so equally concise and genius. He detailed for me his work, and too that of the Wageningen as part of the Golden Triangle (public, private and university conjoined effort detailed in the next chapter below). Research in husbandry practice and monitoring those results to afford a healthy system was his specialty. How public awareness of zoonoses (people getting sick from animals) throughout the Netherlands went from zero-to-sixty back in the mid 2000s due to the potential of an antibiotic apocalypse brewing in Dutch hospitals from the unknowing hands of Dutch pig and Chicken farmers. Running rampant in a highly condensed society – the only solution that proved effective was premptive eradication of food production practices that utilized slow administration of antibiotics similar to current practice on US domestic CAFOs. As global population demand for food animal products skyrocket – Bastiaan was clear in his thinking, this is not just a Dutch problem, but a global one. I learned from Dr. Meerburg that the Dutch approach to animal husbandry varied greatly before the outbreak of resistance. With large ruminants, specifically dairy cows, the Dutch approach has always been aligned with pastoral or grazing on grass-lands. A deep connection to their heritage, much of the Dutch dairy industry was very progressive with animal welfare – as the value of clean and healthy milk products from grass-fed cows was equally the desired product of Dutch & German audiences, but a global market competitive advantage. Other areas needed greater focus and effort. Meat product from fowl and swine became the driver for change. Pigs, omnivores that are uniquely connected to the genetics of humans, needed immediate attention as many of the antibiotics used in raising swine were some of the same essential medicines used broadly for human healthcare. Others, not even essential for human treatment, proved to instigate further resistance. From the meat we eat, the manure we spread into fields and into water system, or even on the hands of that farmer’s young daughter who had no knowledge she was a carrier to contaminate a hospital – superbugs curated by farming are a reality and need immediate attention in the US and around the world. 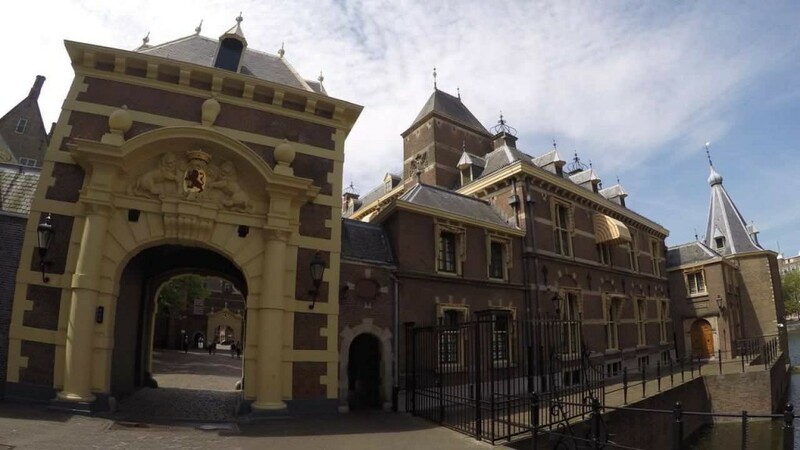 ‘Utrecht University is one of the oldest universities in the Netherlands and one of the largest in Europe. 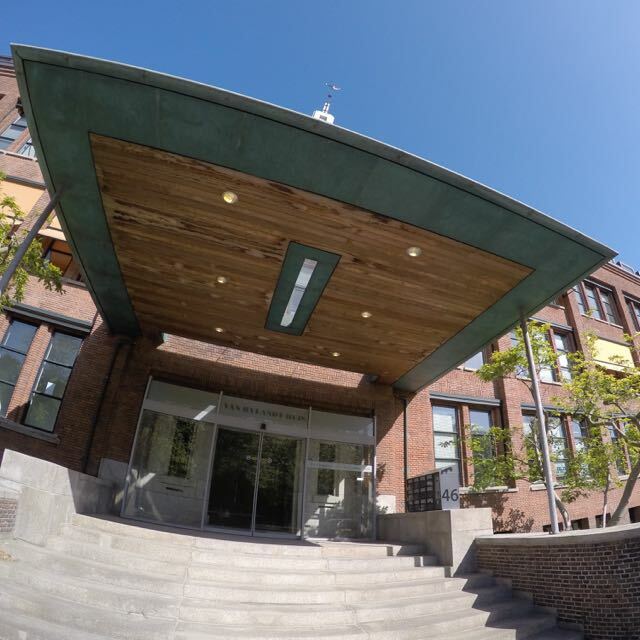 Established in 1636, it currently enrolls 30K students and employs over 5000 faculty and staff. The faculty of Veterinary Medicine performs fundamental and strategic research focused on health, disease and welfare of animals and on related public and environmental health aspects – making Utrecht faculty the center of expertise and point of reference for veterinary issues for the entire Netherlands, and increasingly, for the world abroad. 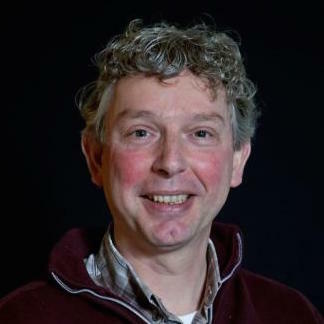 An expert who studies how micro-organisms can move from animals to humans with specialty in evaluating the growing resistance of bacteria against antibiotics, Dr. Jaap Wagenaar is a major player in developing the OneHealth program that has reduced antibiotic utilization on food animals by 67% in 8 years. He sits on the oversight board for the OneHealth program, and was one of the though leaders directly responsible for its architecture and on-going success instituted by the Dutch Golden Triangle. Dr. Wagenaar was recently named as a member of the Expert Panel of the Foundation Veterinary Medicines Authority. When we met during one of the last days of my program, I learned more of the nuance in dealing with antibiotic resistance. The original goals of Dr. Wagenaar, and that of his team, was to ban utilization of critically important antibiotics in any animal program (cephalosporins & fluoroquinolones), to professionalize antibiotic utilization to only the hands of a veterinarian, and to force and incentives their accuracy in documenting a data stream. I learned more of recent research performed on certain antibiotics still commonly used in animal production in the US that are not necessary essential in treating human health, like tetracyclines, but act as accelerants toward propagating greater resistance in unrelated antibiotic applications. Steroids for super-bugs! Reduction of antibiotics as a growth agent began in 2008, and evolved to cleaning up the Dutch food system through rectifying the slow administration of antibiotics in food animal feed and water. In 2011, under persuasion of the Dutch Golden Triangle – they had reduced usage by 20% but more importantly had instituted full transparency with vets tracking utilization. 50% reduction by 2013, and now a goal of 70% reduction by the end of year 2015. Contacts from Utrecht, Wageningen, and at the Dutch Ministry of Economic Affairs all explained, aside from the different practices required to farm without growth agent drugs, professionalizing the data stream and reporting the process by establishing a 1-to-1 relationship between farmer and vet was the essential step in accountability to establish a system adopting of change. This great work done at Utrecht and Wageningen over the past 10 years to clean up their own mess can immediately act as basis for a proven approach to raise minimum market entrance thresholds to gain greater long-term riches and security. The Golden Triangle is a Dutch initiative launched in direct accordance with a 2006 EU ban of antibiotics used as livestock growth agents. Not satisfied with only propagating reclassification of usage labelling, in the Netherlands they launched an invasively creative program to go far further in reducing routine antibiotic utilization in food animal production as a mechanism to prevent an uprising in cases of biologic resistance popping-up throughout the country. A trifecta of Government, Business and Education working together to reverse the process that had cheapened food, stopping the inhumane treated animals that was resulting in their country at risk of a public health epidemic proved to be the solution to the problem. The goal was to systemically reduce antibiotic overuse; the result constituted a food-system becoming preventative human & planetary healthcare. Reaching each defined milestone thus far, through both carrot (incentives) and stick (mandates and new hierarchical structures) the Golden Triangle will continue to deliver aggressive objectives for a safer food system based on nutrient security in the Netherlands. Deservedly proud of their accomplishments in proving a model of potential global significance, Dutch Governance was the impetus of this process. The Dutch political ambitions are to feed the world population within the carrying capacity of the planetary boundaries. The first day of my fellowship began with a trip to the Dutch Ministry of Economic Affairs, who as of the last few years had absolved command of all agriculture practice in this global powerhouse. Making up 10% of GDP and 10% of employment – Agriculture is a large focus for the Dutch government. Having opportunity to meet with Henri Kool, Gertine van Ingen and Elzo Kannekens – each an expert in food animal husbandry, care and trade – I learned a great deal of the progressive view Dutch government has taken to promote business of better food and reduce risk through this initiative toward a singular (one)health. Through inducing the general fiscal policy, by limiting Red Tape, providing economic incentives & credits, and sourcing proper information through-out the system – the Golden Triangle has seen success equally from the mandates and the incentives the government have developed. Regarding the Euro antibiotic growth agent ban that kicked off the entire process – the Dutch once again demonstrated innovation, then took the ball and ran! 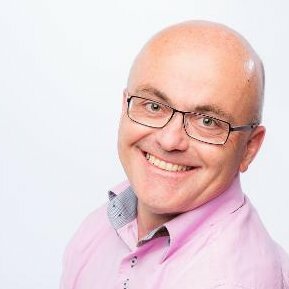 Henri Kool, Director Animal Supply Chains and Animal Welfare – Mr. Kool has been with the Ministry (and its predecessors: incl. Ministry of Agriculture) since 1992. Within the directorate general for agriculture, his current directorate general is responsible for the animal agro-chains, the fishery chains, animal welfare, veterinary market access. 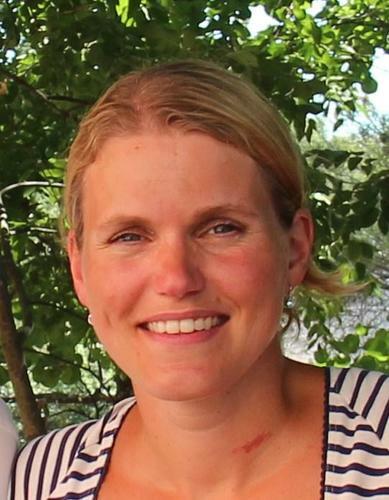 Gertine van Ingen, Program Manager Antibiotics policy Since September 2013, Ms. Van Ingen is Program leader Antimicrobial Resistance in Livestock, Ministry of Economic Affairs, Directorate-General for Agro, Animal Supply Chain and Animal Welfare Department. Prior to that, she was Political advisor Minister’s Office, Ministry of Agriculture, Nature and Food quality, Minister’s Office (08/2004 – 09/2013) and Staff officer political and parliamentary affairs, Ministry of Agriculture, Nature and Fisheries, Minister’s Office. In 2004, a MRSA link between pigs and humans was proven in the Netherland when several family members, workers and pigs on a swine farm all tested positive for the same deadly strain of this skin bacteria. The Dutch had already instituted strict guidelines in antibiotic use in human healthcare – so this staph infection was an anomaly and instigated further research. The link was discovered, and it was later found that Dutch pig farmers were 760x more likely to contract MRSA than the general population. Further research found Q fever outbreaks associated to farm antibiotic use in ruminants. To add some context, Bacterium Coxiella burnetii, or Q Fever, is a bioterror agent according the US Government. The final straw came with traces of ESBL – an extremely contagious superbug spreading in human and animal microflora – traced back to farm applications of antibiotics. With the program launched, but still in it’s infancy in 2009, a process of full buy-in from the private sector wasn’t as immediate, and stricter regulations with further incentives would inevitably change most susceptible fowl and swine production. Without sacrificing efficiencies nor financial returns – the process, adoption and effects have changed, and overtime they’ve proved that the refined model does work well. Now, nearly a decade later the results have established quantitative evidence that this large scale model to reduce antibiotic usage by nearly 70% on the 125M processed food animals in the Netherlands is precedent, or a Proof-of-Concept, for global change in both potential for operating with a cleaner practice, but equally through a free-market basis of exponentially growing global demand for Dutch meat and dairy. To be clear – the target of the Golden Triangle and OneHealth process is not to stop the use of antibiotics in livestock. Just as with humans, bacterial modern medicine is essential to all healthy animals living together. And that is just the very premise for remediation program objectives. We need these drugs for keeping us healthy – so we better preserve them by reserving them when needed. A joint effort to raise minimum barrier to market entry has made the entire system stronger and healthier for all links in the chain. The quick description becomes – the Dutch have researched and tweaked their process that focuses on a system of animal welfare (OneHealth) by enacting a partnership (Golden Triangle) with aligned interest. Front runners in healthy and sustainable food, the Dutch use commonsense in treating their animals. Through humane treatment practice of OneHealth, investing in the health of the animal, they invest in the health of themselves and that of the planet we all live. This is not a niche experiment; it’s instead further proof that global adoption of Dutch internal decree is destined to happen. Currently, 12 of the world’s largest food companies have an establishment in the Netherlands interested in both Dutch products and knowhow, and this presence has resulted in the Dutch establishing themselves as a global superpower in agriculture. As we all begin living in increasingly cramped and taxed environments, we’ll have to heed these warnings sooner than later. As I witnessed, Dutch competitiveness comes from being part of the laws of Natural Order, and not thinking nor practicing under linear and wasteful process. Dutch Government isn’t looking at food and production agriculture as only a domestic problem, nor a Euro-zone problem, but a global issue that will affect us all, equally. 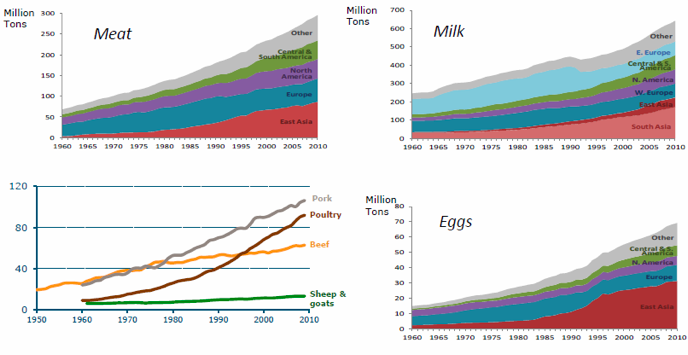 As demand for livestock proteins is expected to grow by 70% by 2050, the current holes in the conventional process so broadly used with the Western diet and/or the cheap food epidemic within the US – just won’t scale. Production diversity is needed, and it can come at the healthy hooves of the animals who service our longevity if we begin treating the system with respect. It’s our obligation. The Dutch have long since been known for excellence in dairy. A globally desired standard for grass-fed milk, butter, yogurt, ice-cream and the raw materials for dozens of value-ad products sourced throughout Europe – the Dutch have kept a strong conviction that clean, happy and healthy cows make for the best milk. Moreover, the quintessential imagery of grazing cattle on sprawling open pastors is part of who they are, and much like the Northeast region of the United States where I’m from, this approach to agriculture is more than just how they produce food, but instead part of their ideology and culture. Due to domestic market forces controlled by the US milk-board, I had limited interest and was not expecting to evaluate dairy production entering into my fellowship planning. Sage voices with different perspective won the day; it was explained that the foundation to the approach of investing in animal welfare and proper feedstuff – much of what defined the ethos of the OneHealth program – spawned out of process and procedures the dairy farmers and industry in the Netherlands have been implementing for centuries. Specially, with my focus on introducing grass-fed beef production operations regionally in the US – Dutch Dairy farmers and their progressive support system had a great deal of insights to share. Like the US, dairy is a staple in the Dutch diet. But, so grand in stature, through their commitment to natural order, Dutch Dairy has become a desired staple in many other countries throughout the world who lack infrastructure. 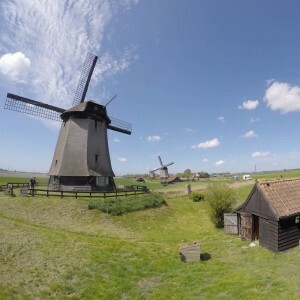 During my travels in May, I heard numerous anecdotes of the far-eastern tourists who were making trips to the Netherlands specifically to purchase Dutch powdered milk. Buying upwards of 50 boxes at a time to be shipped back home, Dutch grocers were forced to put a moratorium on powdered milk sales to no more than 2 boxes per transaction to ensure stock for domestic consumers. That story is so uniquely telling to the lengths that global consumers will take to guarantee access to clean and healthy food when awareness of value is a top driver. I find this extremely interesting because it proves perception of value vs. price quickly becomes relative. In the Netherlands, land utilization has had to be innovative. Wind-turbine technology was first invented to sump water 3ft from each paddock of saturated soils on susceptible reclaimed land in the Netherlands. Uniquely successful at delivering proven sustainable agricultural systems, at scale, through embracing nature and working with the force of ecology for micro and macro results. The now global concept of Circular agriculture could probably be traced back to a Dutch farms with 5000 years of linage, and the ongoing refinement of efficiencies in the process is without a doubt domestic Dutch (or potentially Dutch-American on farmlands in Pennsylvania or New York). This circular system is a process that best utilizes natural order to alleviate waste streams. Through cultivating links in the chain that can turn lost energy into plant or animal ready nutrients you alleviate the expense of waste and requirements for outside inputs. Despite the bill-of-goods sold by inputs companies – the magic that makes sustainable agriculture cost effective is the very circular process that got us here in the first place, and in turn sets to return health through better understanding of how we treat the top of the trophic levels (animals) through to the regenerate laborers living in soil (soil biology). The classification of Grazing in Dutch Dairy is not just US Grass-fed; it’s more than that. The Dutch Dairy process does regulate that forage must be at least 75% rations grass-blade, but more holistically – it focuses on the animal health of the dairy or beef cattle first. Outdoor time, ability to lay, clean feed free of synthetics (i.e. 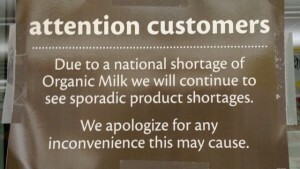 no glyphosate or toxic pesticides), and no ongoing administration of growth-agent antibiotics has made Dutch Dairy a market differentiator of global acclaim, and worthy of a trip to the Netherlands just to buy dry-milk! The future of food requires value to be reinvigorated as its core competency, and few industries have led the charge like Dutch Dairy. The dairy sector practices land-based dairy farming – which also means it works to protect grazing. Grazing cattle typify the Dutch landscape. The Dutch Dairy Association (Nederlandse Zuivel Organisatie, NZO) is therefore a major advocate of cattle grazing. The NZO asks provinces and municipalities to take this vision into account when issuing environmental permits for farming. The NZO also asks that dairy companies not process or package milk from new farms which do not match this vision of healthy animal welfare practice of open pasture and proper ruminant-friendly forage. Growing global demand for dairy means that more milk needs to be produced. As the Dutch dairy sector works to help meet this demand, they focus on the premise of their competitive advantage – by respecting animals, the surroundings and the environment. 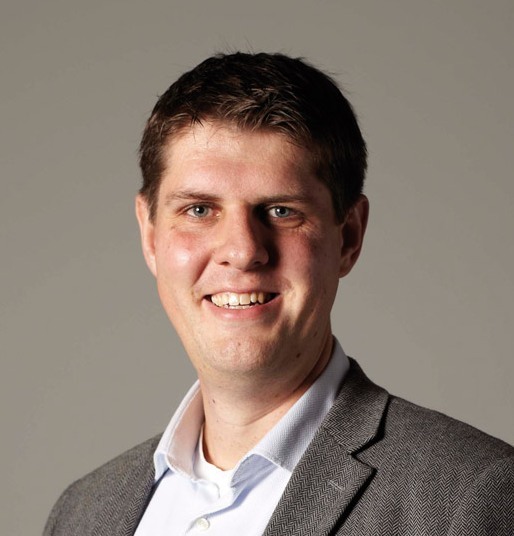 A background as a Public Affairs professional with international linage, for the past five years Tjeerd de Groot has been Managing Director of NZO. 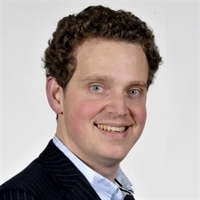 He studied Public Administration and Environmental Studies in Leiden and Leuven and specialized in European Law. 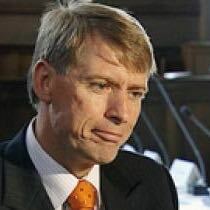 He worked fifteen years at the Dutch Ministry of Agriculture, amongst others as Political Advisor to the Minister, Agricultural Counsellor in Berlin and deputy Director International Affairs. Upon arriving at the Haag-based NZO headquarters I was introduced to Managing Director and Dutch agriculture specialist Tjeerd de Groot. We began the day with an overview of the Dutch Dairy Association – NZO. Tjeerd explained that NZO is a fully immersed trade organization focused on global processing & distribution of 98% of Dutch Dairy. He detailed Dutch Dairy and organizational linage, both ancient and modern, including a recent history that has returned Dutch Dairy to a “Grazing” program that now requires dairy cows to spend at least 80% of their time outdoors in pastor and most of their forage to be natural ruminant feedstuff of grass. A few interesting developments happened just prior to my arrival in the Netherlands. First, in reaction to increasing global demand, a quota system has recently been relinquished. This is important as they’ve adopted a global markets strategy, aside from domestic supply. This means what the market will pay by region sets price. As Tjeerd put it, they’ve outgrown their footprint millenniums ago, and have been forced to be stewards to the environment. Becoming so efficient at their trade without sacrificing their core competencies has allowed them opportunity to test boundaries of their natural orders. We discussed how the biology in that reclaimed and living soil has long-since been recognized as a natural resource – needing awareness and cultivation. As such, domestic Dutch subsidies (and those of the EU for that matter) are linked to product qualities and environmental sustainability. Tjeerd became my guru and guide for the day. We travelled North of Amsterdam where a large portion of dairyland operate in the Netherlands. During the drive, Tjeerd explained what he felt to be the biggest difference between Dutch (circular) and United States (linear) methods of agriculture. Simply, it boils down to the Dutch having to be conscious of their surroundings, while we in the States have yet to fully feel the impact of consistent shortcuts and unbounding waste. We agreed, that was soon to change. As we drove, Tjeerd fielded a few calls to keep up on a busy schedule. Without speaking a lick of Dutch prior to arriving the Netherlands, I had understanding of the nature of many of his discussions. Calls ended in a similar cadence to any action item review in a business meeting, and another a call with his daughter, where as being a Dad myself I didn’t have to know the words he was saying to know the context and feeling of the conversation. Upon hanging-up, Tjeerd explained that the call was with his teenage daughter who was in town for a few days. I soon realized that sharing a great deal of Germanic structure with English, often just needing a game of letter jumble to grasp meaning, there’s a great deal of similarity in the writen word. The pronunciation and verbal recognition was more challenging for me. Throughout my time I listened intently to announcements on the trains, challenging myself to deconstruct Dutch as I knew an English announcement would soon follow on the PA. Maybe it was the end of a few long day, but even with keystones like city name or station, I was terrible! A few times, I found myself laughing at the Dutch translation I floated to myself as a possible meaning of the announcement. Learning the English truths moments later can only humble you to laughter. So, Tjeerd can rest assured that my only knowledge of his conversation was pure conjecture of his actions and delivery and had nothing to do with translation. 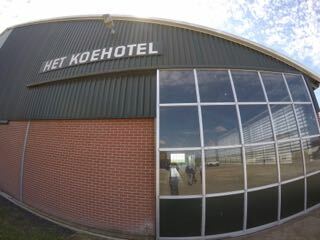 Our first stop was a visit with Anne and Henk Kregel, owners and operator of the KoeHotel (CowHotel). Complete with waterbeds and cow massage brushes, this progressive approach to maintaining herd health was designed from preserving well-being and longevity of lactating bovine animals. Touring the site, it was clear that even Temple Grandin would be impressed. According to Henk, the waterbeds (specifically) were a huge help in allowing animals opportunity to proactively maintain health and too regain well-being if ill. “Don’t you recover quicker and feel better after a good night sleep”, Henk explained. Cattle spend more than 50% of a day laying down, so doing so not on a concrete slab but in comfort, on water, does matter. The Kergels report getting nearly 30 additional months of productivity out their dairy cows vs. when treating animals with conventional practice. Tjeerd and I then proceeded to Westbeemster – to meet with the CEO of Cono Cheesemakers, Eric Hulst and his executive team. This is not your average cheesemaker – they instead represent a global gold standard of Gouda fromagerie. Crafting 20 different types of Goudas, all sourced from milk of a their local dairy COOP that’s been in existence since 1901, it’s just good stuff, and the fact that it’s clean and from healthy grass-fed animals to boot has drawn global appeal. We enjoyed watching the making, and later tasting, of their flagship Beemster. I brought home a few shrink-wrapped wedges, and my entire family agreed – this was amazing cheese! Currently, in the midst of a 2 year transition process from neighboring & current legacy facility, a meticulous process of replication and documentation is underway at Cono. A process that ensures that cheese cultures and best practice lives successfully through flawless transition. Only slight hints of natural flavor variance dependent on seasonal cattle forage is allowed in this precise execution. From the management of the field, to investments in animal health to ensure consistent supply of quality raw materials – great milk comes from knowledge of OneHealth. Production at farms like the Cowhotel – affords CONO cheesemakers opportunity to use the best mastercrafted milk to make top quality artisanal cheese. Thanks to their this brand new state-of-the-art cheese making facility, they plan to better service intensify global demand for top quality cheese and Dutch Dairy. I truly enjoyed the entire red-carpet/ farm-boot lifecycle experience. The Day ended with Tjeerd graciously inviting me to his house for a few pints, and opportunity to meet with his daughter and her friend who were both evaluating career plans as they were soon to enter University. A true expert in the value of safe and healthy food and what that represents on a global market, Tjeerd was making a full-court press in effort to gain his daughter’s interest in a possible career in agriculture. Soon after our visit, the two were off to New York City for some travel, fun, people watching and exploration; NYC is surely an experience like no other. So, I believe Tjeerd thought as an American investing similarly in career in better food, maybe I could offer some assistance in sharing to good word with his daughter? In typical dad form, always wanting the best for our little ones, Tjeerd seemed to be doing a fine job sharing his passion to change the world with his little lady; hopefully I added some value to his objectives as repayment for the day of knowledge and insight he granted me on Dutch dairylands. I’m intrigued to hear how their trip to NYC and agricultural recruiting visit panned-out, I’m sure it was a wonderful experience. 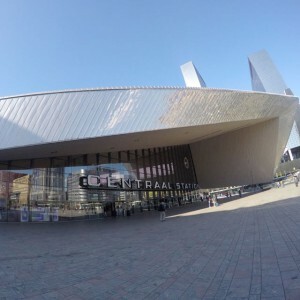 Shuttled back to the train just in time, I returned to Rotterdam. Precision agriculture is effectively any culmination of agriculture technologies that have refined a process to efficiency. For certain products, most notably vegetables and greens, Glass-house production changes the paradim. The controlled growing environment offers not only a cost effective way to produce horticulture with limited waste and high efficiency; it results in an opportunity to reduce utilization of harmful synthetic chemicals used often in open air/field farming. In the EWG Guide to produce products with the highest percentage of pesticide residue, 5 of the 12 “Dirty Dozen” are on the short-list of produce products that are grown well indoors. The Dutch are a large producer of year round horticulture. Both produce production and ornamentals focus, they’ve developed a clean and repeatable process of advanced hydroponics and soil-based glass-house growing. 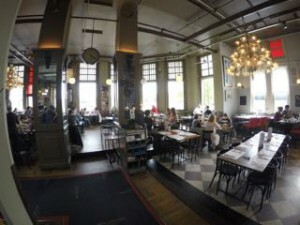 Centralized near to Rotterdam shipping port, and acting as a trade aggregate for the EU, the Dutch welcome opportunities to produce not only raw crop exports, but using glass-house production near distribution has built a large industry of value-ad and fresh-processed foods. 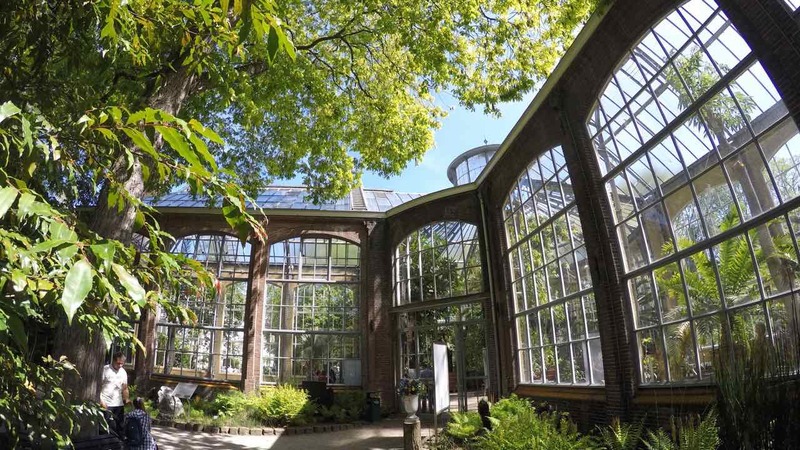 Stemming out of the Netherlands’ Westlands, where the largest glass-house cluster in the world consumes ⅓ of the entire region’s landcover – the Dutch push the envelope on Innovation and Competitiveness. 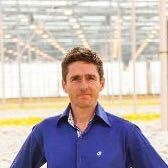 With 10,000 hectares (nearly 25,000 acres) already under glass in the Netherlands, and 75% of global indoor growing already uses Dutch IP; for greens, cucumbers, peppers, flowers and tomatoes (a product that the Westland region sources 50 varieties) they got it figured out in a way that is cleaner and very efficient whether grown in soil or via hydroponics. I had the opportunity to visit the region under the watchful and knowledgable tutelage of Antoon van de Ven – a strategic advisor for the Westlands. Anton showed me six (6) different glass-house facilities ranging in production from cut flowers, orchids, tomatoes and peppers, as well as a community and industry sponsored test facility that acted as an aggregate to develop and test new innovations & technologies applicable to growing products in glass-house. 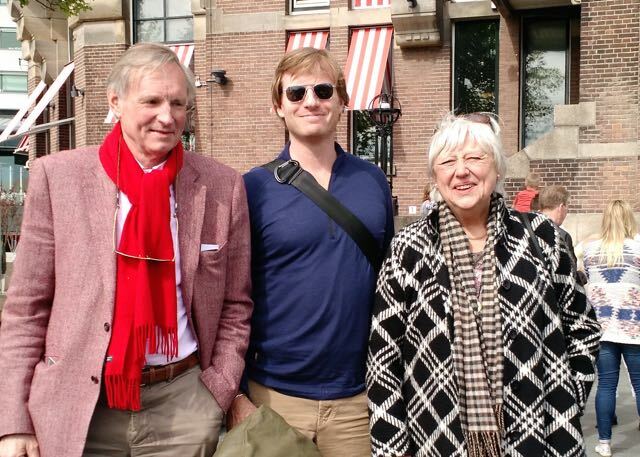 First, we caught-up with the Westlands Mayor, Sjaak van der Tak. 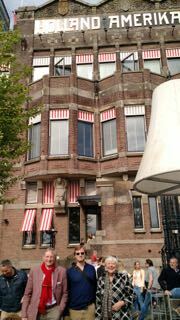 A friendly guy, very intrigued in distributing product and/or IP from Dutch glass-house production. 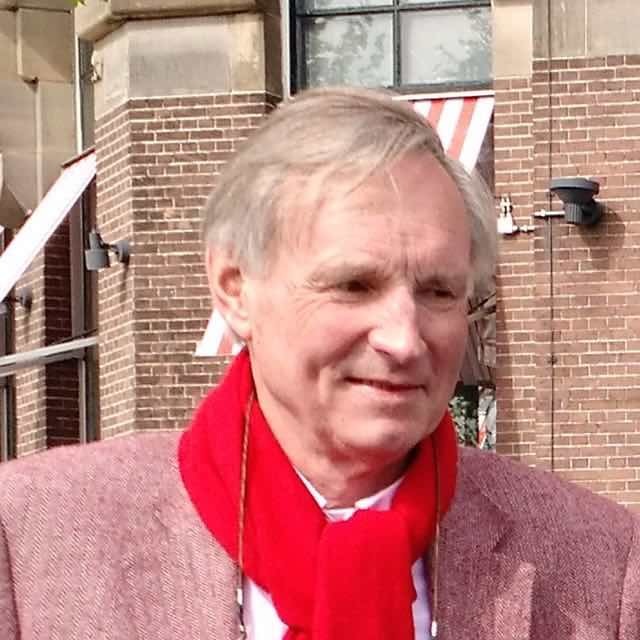 Mayor van der Tak was elected into the Rotterdam city council in 1989. 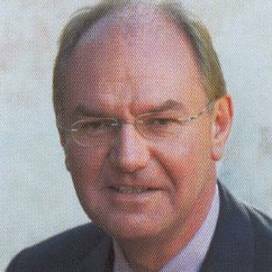 In 1996, he became Alderman for the City of Rotterdam, responsible for traffic, transportation and finance. Since 2004, he is Mayor of the Municipality of Westland. Westland is a municipality in the western part of the Netherlands. It covers an area of almost 35 sq. miles of which a little over 4 sq. miles is covered by water. Its population is approx. 104,000. Westland was created on 1 January 2004 by a merger of the municipalities De Lier, ‘s-Gravenzande, Monster, Naaldwijk and Wateringen. These are also the names of five of the settlements. The others are Heenweg, Honselersdijk, Kwintsheul, Maasdijk, Poeldijk, and Ter Heijde. Westland itself is not the name of a settlement or town, but rather of the region. The City hall is located in the middle of Westland, in Naaldwijk, the second largest settlement in Westland. We spent the entire day traveling from site to site dodging torrential rain and learning what happens when ingenuity is focused around epicenters. The last visit of the day was uniquely interesting. Top chrysanthemum producer in the World, Michel Grootscholten founder and operator of the Grootscholten Chrysanthemum Nursery showed us around his impressive facility. 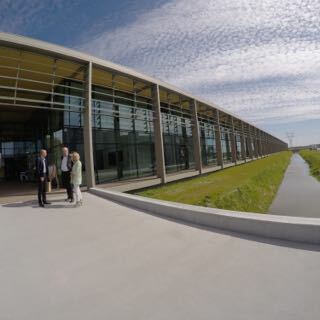 Antoon and I entered Michael’s 12 hectare single glass-house, and I was immediately awestruck by the beauty and sheer magnitude of this soil-based growing operation. I came to learn that Michel had recently built this state-of-art facility to focus on his leadership in a single market. By constructing the most modern buildings possible, using high lighting levels, and automating the planting and harvesting process, Michel succeeded in achieving a further production increase and quality improvement. Approaching with a fantastic swagger and self-confidence, Michel met up with Antoon and myself as we had already begun exploring the vast acres of glass-house flowers. Michel showed us the operations of the meticulously run facility and explained his methodology to not only growing, but business. Smart and pragmatic, this guy younger than me had taken significant calculated risks in the past decade, and now appears to be reaping the benefit. Michel explained, in Holland, production has been stable for years, much due to commitment to high quality and specializations. The chrysanthemum market for EU production has declined in the last years, due to high energy costs and recession, and competition from lower cost South American provides. Confident in his product and commitment to deliver healthy, lasting and vibrant cuttings will win out, Michel has found creative ways to solidify the market value of his product, while also developing new green-fields. The M. Grootscholten Chrysanthemum Nursery sells chrysanthemums through the auction system, forward orders and day trading. Located adjacent to the Flora Holland, M. Grootscholten can deliver extremely fresh flowers within a few hours of harvesting, and meet fluctuating market demand. To produce in the States, Michel felt looking for an area where there is lot’s of light, and not to much heat ( i.e. the Californian coast – prime for water efficient horticulture). Michel later shared with me a Dutch saying re: potential US production & relationship to Ag – “you never know how a cow catches a rabbit.” Who knows how things happen, sometime they just do. Globally recognized as one of the best blends of authentic methods with the efficiencies of modern production and science – the Dutch seem to have found a happy balance of producing enough nutrient security to not only feed and keep healthy one of the most densely populated countries, but now source greater volumes of exports to countries all over the world who desire their higher quality and uncompromised outputs. This didn’t happen overnight. The Dutch have been instituting innovation in land management and agriculture for 5000 years. Now, with qualitative and quantitative evidence-based systems proving to be a potential basis for global scale, there’s a movement in the Netherlands to take this honed example to new heights. To me, it seems commonsense for the United States to evaluate this as well-documented precedent that could diversifying a portfolio and reduce intrinsic risk associated to a dumping all the eggs in a single production basket. Stemming from an industry of tangible outputs and raw materials, agricultural & food innovation in the information will quickly gain further ingenuity. Production practice, methodology and acumen is unquestionably equity and cache in any and all industries of the 21st century. The Dutch have been masters at cultivating community and building ecosystem to support food ingenuity, effectively by evaluating Circular Agriculture as a large platform for innovation. And, it seems their investments are paying off. Coming from a prior world of technology, I found the Dutch notion that the future of food will now be intangible welcoming and refreshing. The concept that best sustainable production methods can be placed anywhere, on any soil – is an intriguing twist of modern agriculture which institutes similar mythology of refined process but with the tangible production materials. I found it most telling in speaking to financial experts and economists – who explained that the economics of dealing with the many bottlenecks & expenses in shipping proprietary inputs & soft-goods to all corners of the world, and then in-turn to distribute as commodity or perishable exports will prove inefficient in all long-horizon forecasting well beyond the mindset in the Netherlands. I once had adoption of robotic technologies explained to me in a similar manner. What seems from the surface a hard-good or materials issue, as with food, is actually a software and intangible problem. The clear delineation point in seeing it from this angle requires your perspective to include the additional costs to health and environment currently not calculated in the production of Cheap food in the United States. A practice defined as holistic in the US, in the Netherlands it’s much more than that. 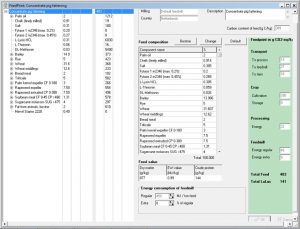 It’s a pragmatic economic innovation that accounts for true or sum costs – which are not allowed to be reduced to an individual line-item comparison on the balance sheet. The Dutch have proven that this commonsense approach to an agricultural system can bolster the success of their healthcare system, establish nutritional security, improve the environment and create jobs through evaluating a true cost. The fact that Dutch agricultural products are in such high demand in 2015 through-out the world is not due solely to their climate, soil, proximity to water nor location. It’s mostly based on a high-level of expertise, ability, established infrastructure, capital expenditures, efficient & smart processing, and good logistics – all of which – like in the US modern system can be built with proper time and know-how. Dutch agriculture has succeeded in developing and maintaining its lead over international competitors by continually investing in the production of clean and healthy food of higher nutritional value as innovation and economic development; a system that seems ripe and ready to cultivated in other parts of the world through creative public and private partnerships. The crown jewel of innovative systemic changes must be the Dutch food animal program “OneHealth”. As detailed above, the system relies on raising healthy animals as impetus for preventative human, environmental and ecological health through investing in livestock welfare. Since public, private and educational commitments began 10 years ago, connecting this triple-helix into their system chain has proven to a compelling financial argument over a short-hoizon – delivering billions of Euros to the GDP through food animal product sales, and projects to be a long-term solution and potential basis for a paradigm shift in using proper IP in scaling alternative and less resource intensive production practices. According to recent Global Information Technology Report 2015: ICTs for Inclusive Growth – the Dutch ranked 4th in economies most adopting of information technologies. The US follows only a few slots behind on this list of top 10 countries harnessing Information Technology. Developing a broader business ecosystem that empowers innovation, and a 21st century partnership amongst two agricultural SuperPowers like the US & Netherlands – each would benefit from cultivating production method that use best of breed IT technologies to reduce portfolio risk domestic and abroad. Building businesses built on something as tangible as cash-flow from sourcing better-quality meat to market makes private ventures well-worth it alone, but the true longterm value of all those fostering an innovation economy could materialize as the intangibles instead of raw goods and crops of today. A benefit to human and environmental health through focus on animals as cornerstone of circular and not linear agriculture, to safely feed their own citizens and through reducing imminent risks – the Dutch have employed a higher barrier to entry when addressing potentially susceptible categories. That additional value arming Dutch Dairy and now their meat production; as well, the process of controlling the grow environment through glass-house innovations that nearly alleviate risks of synthetic pesticide residue through absence – has arisen as a tried-and-true recipe. Already doing much of the legwork, the evidence the Dutch drafted from their research into a future of Scientific Agriculture based on best sustainable methods, one that returns us and our impact (noblesse oblige) back to circular nutrient cycling program, needs further attention in the United States. The only future of food we have is a more sustainable one. Proven by this country of 17 million on a footprint the size of Vermont, the Dutch have a great deal of applicable innovations developed through forced necessity which now seem prime to share with the rest of the world. More so, the reputation of the Dutch as master planners (responsible for designing highest profile US cities) holds true in their approach in building a food production framework for broader adoption through scalability. Now, with enough tenure to become a replicable methodology to develop profitable production of clean animal crops and controlled environment growing anywhere in the world – they have an evidence based approach that would enhance US domestic production capacity. As stated, in the US we’ve grown too concerned with product price with limited regard for sourcing practice, impact or quality of food. The Dutch underpinning of food value and cleanliness of production at fair prices is a gold standard worth engagement. This mastered process of focusing on food animal welfare as a premise to clean-up their food system has many unintended positive consequences. The question of at what cost is cheap food paid is nothing more than relative, but with changed perspective – we’ll see discovery differently. The terminology properly defining the this essay, Evidence-Based Agriculture – is not mine. I borrowed it from a pretty smart lady. 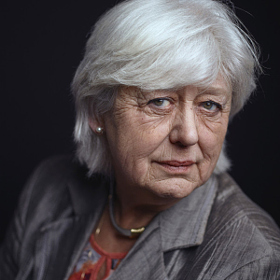 Empowered to insure State and Royal interests have aligned for the past 30 years, Saskia Stuiveling has just left her life-appointment position as President of the Dutch High Councils of State (aka Dutch House of Audits). With forced retirement at 70 years young, full of vigor and immensely versed & talented, it was evident in our discussions that Saskia is going to crush her next venture. I had much to ask during our visit toward the end of my first week in the Netherlands. With each question came back a concise answer describing any micro or macro policy. Standing tall, Saskia’s husband Dop was equally a presence. The resemblance of Liam Neeson seemed to do well for this knowledgeable, deep thinking and stylish cat. A pediatrician specializing in research into the neurological and communication disorders running rampant in little boys, Dop was involved in many global efforts evaluating and rectifying the problem. I can only image the zest and quality of conversations that surround their holiday meals. What was originally planned for a few hours evolved into Saskia and Dop, a Grande Dame of the Netherlands and leading man of medicine, spending their entire day with me. I gained unparalleled nuance and backstory to the city, the country and region. Both impressive in stature, and bigger in heart – I look forward to remaining in contact with them both. 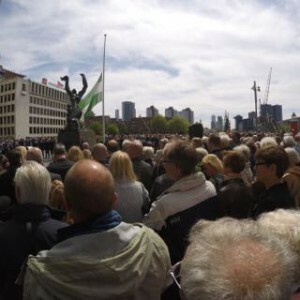 Thursday May 14th marked the 75th anniversary of the bombing of Rotterdam, known as the Blitz. Described as a barbaric act of terrorism, this 10 minute German air-raid pounded a city and port – eventually becoming fully decimated after burning for 30 days more. 2015-05-14, at 1:29pm I stood witness to an emotional scene; a gathering that even after 3/4 of a century – and now on the foothills of a completely rebuilt city & port – wounds still surfaced throughout many generations. To mitigate mounting risk, the US has opportunity to invest in proven innovations that diversify our production portfolio by focusing instead on a true cost of food and not price point at market. We need a process, and infrastructure that can evaluate agricultural alternatives to specific practices deemed most unsafe and/or concerning to our nutritional or national security. The free markets will drive this evolution, and the creation of profitable production companies of scale on US soils that service changing domestic & global demand for clean & healthy food will thrive. If supported sooner than later by public and educational spokes in a wheel as seen in the Netherlands, evolution is not generational, but has proven to be done in a decade. Knowing there’s well-document precedent full of proven insights from our close allies who can legitimately support any claim of system evolution, makes evidence-based agriculture premise for future food.